Your brakes protect the lives of you, your passengers and other people	on the road. Your brake system is a critical safety feature in your car,	truck or SUV. Annual inspections and proper maintenance are important	in order to ensure your safety and to avoid costly failures to the brake	system. 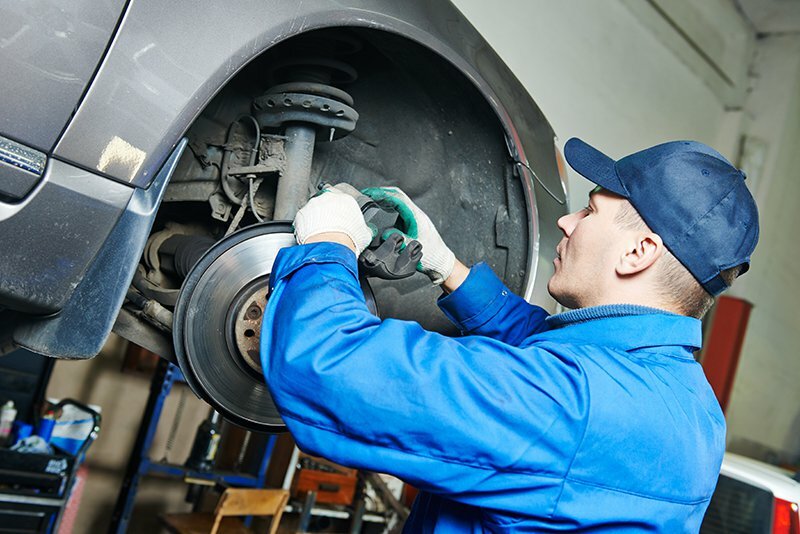 When you visit our Rancho Cordova facility for brake service,	our AAMCO certified technicians examine the entire braking system: pads/shoes,	hydraulic fluids, rotor/drum wear, calipers and wheel cylinders, brake	hardware, hoses and lines, master cylinder, and the anti-lock system for	vehicles so equipped. There are many different signs of possible brake failure: squealing, grinding,	or other unusual noises when you apply the brakes, a brake pedal that	can be depressed nearly to the floor, a brake warning light that stays	lit. If you notice any of the signs of possible brake failure, have your	brake system checked out immediately by one of our expert technicians.